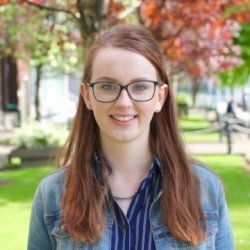 I'm a 22 year old French and English student currently based in Belfast. I am completing a Masters in English Literature in Queen's University, after graduating with a B.A. in English and French from Maynooth University. Throughout my years in college, I have also worked in some of the biggest media companies in Ireland such as Lovin Media Group, RTÉ and Campus.ie, meaning my editing and writing skills are of a high standard. My academic writing is continually significantly above average, exemplifying my essay writing and planning skills. I most recently worked as a language assistant in France where I taught English to French teenagers. I have a natural approach to working with young people, and know how to keep a balance between student and teacher. I try to keep lessons simple and interesting whereby the student can achieve success. Moreover, I have years of experience teaching young teenagers, and understand how to break difficult things down for them for success, having been a dance teacher for almost 10 years now in my local GB company. I put the student first, and will cover what topics they feel necessary. I believe it is important to look objectively at one's own work, highlight the problem areas and work from there. I will prepare materials for the students, and endeavor to answer any and all of their questions. I also believe that there is no such thing as wasted study; spending thirty minutes on something small a student doesn't understand may make all the difference. ClodaghFrom Ken (5/5): (Junior Cycle French) Clodagh is an excellent tutor she has a great teaching style. Our daughter connected straight away with Clodagh due to her lovely easy going nature. We would highly recommend Clodagh as a tutor.